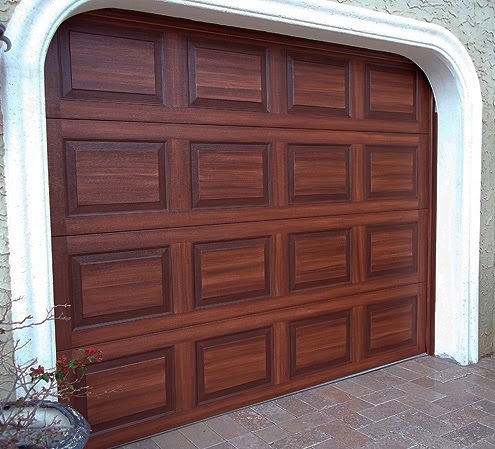 If you live in the Tampa Bay and would like your garage door painted to look like wood I would be happy to do that. Please contact me via the contact page. This door started out as a typical white steel garage door. 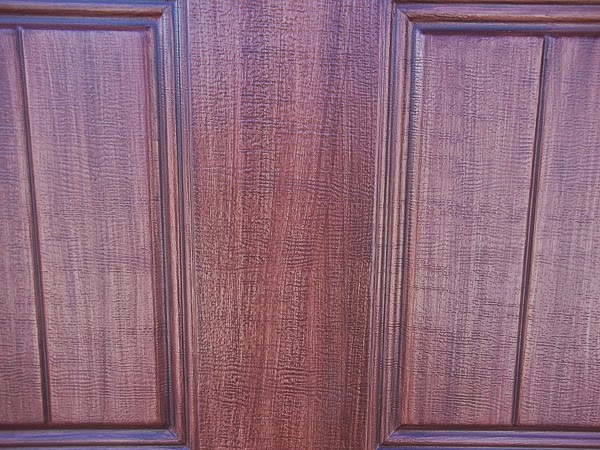 I painted this door to look like wood. 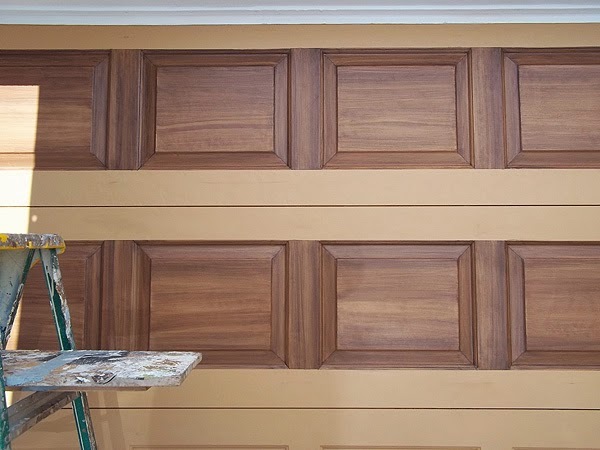 If you would like to paint your own garage door to look like wood I can help you there also. I have created a 132 page tutorial with approximately 2 hours of video and dozens of still photographs. This tutorial explains in great detail every step of the process I use to create a door that looks like it was made of wood. Go here to find out more about the Garage Door Tutorial. The next photograph shows where I have finished painting the top two rows of panels on a garage door.